What’s the first question you get asked by a bride or groom? It’s enough to drive us crazy! They don’t ask about the quality of our work or even if we’re available for their date. All brides seem to care about is PRICE. But you’re stuck. If you don’t answer that “price question” or if you insist on a meeting, it might seem like you’re hiding something. Your response is critical because if you don’t give the right answer…you lose the chance to book that wedding for good. I’m about to share the technique Jeff and I developed that will help you get off the Price Question and onto the path to profit immediately. It’s a brand new formula we call the “Price to Profit System” that we developed using the powerful psychology of influence to convince brides of your value immediately so they are primed and ready to book. If you get a couple in front of you, you’re probably pretty good at explaining our value and getting them to book. But how do you do this with EMAIL? It’s much harder for us to educate and convince the bride without the benefit of a face to face meeting. Since most of the inquiries we get come via email these days, I’m going show you the 6 Critical Elements of that price answer you must have in your email response if you want to have any hope of booking the job. Dealing with price shoppers is the most critical skill you can have in business. Why? Because all the hard work has been done; they’ve already found you, contacted you and they’re pre-qualified as being interested in your business. All you have to do is book them. If you don’t learn how to deal with price shoppers you have to work 10 times harder and spend $1,000’s more on your marketing to get more leads coming in. Those price shoppers are money in the bank…if you know what to say and do to turn price shoppers into bookings. If you use the 6 critical elements of the Price to Profit Email I’m about to show you, you can avoid the frustration of dealing with price shoppers for good. You can quit having to explain the value of your services. 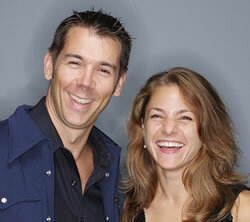 You’ll book more weddings and get to work with clients who really appreciate your services. Here’s an interesting statistic: when asked if price was the determining factor in booking a wedding vendor, 80% of brides answered NO. Price is NOT the most important thing to these “price shopping” brides! They ask about price because it’s the only thing they know they are supposed to ask. They’ve never planned a wedding before and from their point of view that is the logical place to start. They are trying to educate themselves. This Price to Profit email makes it easy for you to educate brides and prove your value in the process. *SECRET: The more a bride believes your service will give them the wedding of their dreams, the less important price becomes to her. 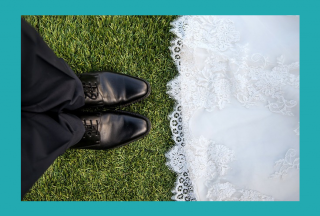 The Price to Profit Email gets them off price and reminds them what they really want…that dream wedding…by demonstrating your value up front. They get a taste of how your service helps them make their dream wedding come true…and how YOU are an essential part of it. They immediately understand your value because it’s connected to the dream wedding they want. In fact, they will have difficulty imagining their wedding day without you. In his book, Influence: The Psychology of Persuasion, Robert Chialdini explains that our brains are hard-wired to respond to certain situations with predictable responses. When you deliver a valuable service up front…without asking for payment…the bride actually feels obligated to do something for you in return. So when you ask for the booking, she feels obligated to say YES. Have you ever been to a holiday party and the host gave you an unexpected gift and you didn’t have a gift to give them in return? It feels pretty uncomfortable. If you’re like me, you probably felt compelled to give them something in return. In fact, you might even go so far as to buy them a present the very next day! Well, when you give the bride something of value FIRST…before you ask for the booking…you have created a powerful, automatic influence that makes her compelled to buy from you. Personal Detail. This uses the psychological principal of Likeability. It begins a relationship and conversation with the bride so that she likes you and wants to do business with you. Free Information. This uses the psychological principles of Authority and Reciprocity. Give her valuable information she can use to plan her wedding. This gives her first hand experience of why you are worth your price and makes her feel obligated to book you. Link to Blog Posts or Samples of Your Work at Their Venue. This acts as proof and evidence of your value as an expert. Client Testimonials. This uses the psychological principle of Social Proof. Testimonials provide more evidence of how valuable your service is in the form of reviews from people they trust, brides like them. A Photo. This uses the principle of Likeability. When you include a smiling photo of yourself with your email response, you become a real person, which sets you apart from your competitors. Call to Action. This is use the influence you’ve gained to tell her the action you’d like her to take next. Here are 3 steps you can take to solve the frustration with email price shoppers and automatically demonstrate your value. Using the Price to Profit Email lets you book an extra 10 weddings or more per year, without having to work harder or spend more on advertising. Find online reviews written by your happy clients on sites like Wedding Wire or Wedding Mapper to use as testimonials. If you can’t find reviews on an independent website, post client testimonials to a page on your own site. Write your template email including the 6 critical elements: Personal Detail, Free Information, Testimonials, Samples of Your Work or Blog Post, a Photo and a Call To Action. Use this as a response to email requests for your price. The Price to Profit Email has allowed Jeff and me to automatically book more weddings with less effort. I’ve even converted “tire kickers” who originally wanted an iPod wedding…and ended up spending a premium for our DJ services! The email formula we’ve discovered is extremely powerful and effective. I’ve shared the key components…but it will only work for you if you take action. I really want you to act RIGHT NOW, so I’m going to make it super easy for you. 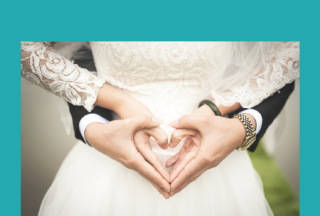 I’m going to give you my special report “The Price to Profit Email: How to Convince a Bride of Your Value Immediately So She’s Primed and Ready to Book…” the Price to Profit email template, and an article you can give to your brides as free information, all for FREE. Fill in your information in the red text of the email template and save it to your desktop. Use your customized Price to Profit Email the next time you get one of those “price shopping” email inquiries. I’m giving you this special report, email template and article (valued at $147) because I am convinced it will help you book at least 10 or more weddings this year. It’s the most valuable information on price shopper conversion that I’ve ever seen. But I need your help in return. This is a secret we have never shared before with ANYONE. I want to make sure it works as well for you as it has for us. If you download this report, will you agree to tell me what you think? I want to know what you like best and what’s missing so that I can make it even better. Now enter your name and email above so I can send you the Price to Profit Email and start booking those brides! P.S. What do you think of this post? Leave me a comment. this article is good, but i think that all of this themes are a little old. About Robert Chialdini it’s all right for 10/15 years ago, when people was more educated, now they want just discount, and do what they want, touch all items like in a H&M’s stores. Present at client are good, but like link how to book a photographer or how to make your hair they think if you are stupid, because they can find all of this Gratis on web. they don’t have need of you about this. You can also offer a drink or coffe when they come in your store, so they also ask you if you have some milk, or can have decaffeinate coffe, or short, long, with o without milk.. etc.etc. no.. I think who professional wedding have to make a team like bank or insurance for educated and teach at client how to behave when they in a shop. This post is extremely helpful to me cause every bride- to- be asks the price in her very first email. Thank you for sharing such valuable information. I can’t wait to try this new formula in response to my next inquire! Thank you again. I am looking forward to receiving the template. Very useful information to improve your website ranking! It already helped me a couple of notches on the first page of Google for the search limo san diego. Love your information! Just wondering how i get the price to profit email? Would love it because you have such valuable information thanks! I’m not surprised your “Price to Profit” system works. We have been doing the exact same thing for Brides and Grooms who come to look at our buses for weddings. My next step is to set up arrangements with wedding coordinators. I’m tired of spending my marketing dollars on trying to get customers. I would rather give coordinators a discount or extra buck to book with our service. Win/Win for both and I believe couples when renting a party bus or limo would rather keep all the different “hats” worn by the coordinator. I will try to implement this with my other customers. I necessarily don’t have them until the contract is signed and it does make sense to try and establish any kind of relationship in the meantime. I entirely agree with you about putting your best foot forward. It’s essential to grab all your past jobs and put them together in a beautiful book. Thanks, so much, for this. I’ve been a DJ for 30 years and have become so frustrated with the economy. I’m making a lot of changes, this year. Your “Price to Profit” information will help facilitate those changes. I cannot find the email you sent me regarding this before. Thank you so much for this valuable information. I was so excited to utilize it. I just sent it to a bride, can’t wait to see how she responds!! [quote name=”Melissa”]Thank you so much for this valuable information. I was so excited to utilize it. I just sent it to a bride, can’t wait to see how she responds!! Will this system work for some who is just getting ready to launch their wedding consultation business? Well I just signed up, looks like a no brainer to me. I have not worked for the past year, as I was into serious medical treatment. LAst year was to be the first for me to have a bridal booth at one of the bridal shows here in Montreal. I did not do it because of the health issues. Now I am recovering and need to start doing the right things, but I will start from zero. For now, my only income is the disability insurance that I get once a month, and I need to know if applying the steps you teach implies financial efforts. I am SO sorry to hear about your health and financial issues. I really can’t tell you what to do in this situation. Do I believe that this training will help you? Absolutely! However, if your health prevents you from spending time on it, or if the money invested keeps you from eating and paying your medical bills, that wouldn’t be a good thing. The best advice I can give is to think about the #1 challenge you have right now and focus all your energy, time and money on that. If your #1 challenge is your health, keep your focus on getting better and skip the program for now. If your #1 challenge is your business, then I encourage you to join us. What if i got more bookings that i can handle? Hate to turn down new brides! That sounds like EXACTLY the ideal situation to be in! When you have “more than you can handle,” you can charge higher prices and pick and choose the type of work you want to do. It gives you a lot of freedom and higher profits. So having more leads than you can book is a really good thing! As far as turning down new brides, when you get to that point, you have some new options to explore. 1) Grow a team. Hire or train someone to take on the additional work. 2) Raise your prices again! You’ve got enough demand and leads that you can afford to do this. 3) Refer your overflow to other limo companies you trust. You can establish a commission relationship with them, so that they pay you a percentage of sales referred by you. This is just the situation you should be working towards because it lets you grow to the next level. Photography with Heart just made there move to get busy! I just want to make sure that the videos will be available to watch after the fact, if I can’t be on the calls live. I work a full time job still right now and really don’t want to miss anything!! I realize I’ll miss the live Q&A and such, but the calls are what I’m more worried about – thanks!!! 🙂 I’m really excited. The trainings are all videos, with transcripts and support documents. You can watch them in the Member’s Area or download them and watch them from your computer. We’ll be making the recording of our live Q&A coaching call with our VIP members available for everyone who gets started by midnight EST on Friday. We’ll also be hosting another Q&A call in October where [i]everyone[/i] can get their questions answered. This will be recorded for those who can’t be there live as well. You can also get your questions answered as we go right in the Member’s Area. I hope to “see” you inside the Member’s Area soon! Is there a video to see this product in use? This product is a series of training videos that show you how to set up your own Automated Expert System for follow up. It also includes pre-written emails, Bride Bribe reports to use as giveaways, templates and scripts. [i]It is not an email marketing service or software. [/i] The training will show you how to use the tools you need and set them up, but these are not included. Because of this, there really isn’t anything to see without showing you the video trainings themselves. Cannot wait to read about this information. This program looks great so far and you always have great advice! If the next month & a half are extremely busy should I wait to purchase and start this system in November? I have back to back weddings, a bridal show, am working another part-time job (apart from running my own business) and expecting a baby so I don’t have as much energy as before. I don’t want this to be something that I purchase, but never get around to using since I’m so busy right now. What recommendation do you have for me? I really want to keep up with my assignments and do what I am supposed to to benefit from the purchase of this. I have not even finished the 4th video because I am so impatient :sigh: Is this product for me? Here’s my take: don’t buy unless you are committed to DOING it. However, you’re busy right now, and will probably only get busier. It’s a REALLY good investment of your time to set up an automated system like this now because it will save you time down the road. With all that you have on your plate, you probably won’t be able to finish everything within the first four weeks, but you’ll at least be able to decide whether this is right for you. If it’s not, you have our 100% Unconditional Money Back Guarantee. Even if you decide to stay past that 30 days, you’ll have our 1 Year Action Guarantee: as long as you DO the actions we suggest and you can prove that you’ve taken them, if it doesn’t give you results we’ll refund your money. If you ARE committed, go for it! If you can’t commit, this probably isn’t the right time for you. I really looking forward to starting this system and to helping brides in the UK realise that a wedding planner is a not just another added expense. Thanks again for taking the time to share this with us. Congratulations on the launch of your marketing company and I wish you all the best. We’re releasing the videos a few each week because most people actually DO more when they are released over a period of time. When everything is released at once, they tend to get overwhelmed and end up doing nothing. Guarantee #1: You can cancel and get a [b]100% refund within the first 30 days[/b] of purchase for ANY reason. Guarantee #2: You have a [b]full 12 months to implement[/b] these strategies. At any point during that time, if you follow our instructions and it does not give you results, we’ll refund you 100% In this case, [b][i]you have to provide proof that you have taken action[/i][/b], because without action, it definitely won’t work for you! It will take one month of a few hours each week to set this up properly. From there, it takes 1-2 months before you’ll see results. Many vendors will start seeing results faster, but you need to commit to AT LEAST one month of actively using the system. If you’re not willing or able to do that, this probably isn’t for you. Oops, found it, it was to the side off screen, not below the video. Hi Stephanie and Jeff! I can’t wait for this system to go live, I really need it. I am hoping and praying that I get to get this system before you close it out. I am sure you will reach those 500 vendors tomorrow when you go live. Thank you for the videos and the guarantee that your offering. I am sure I will be able to position myself higher in the market with your system. I don’t see the “Add To Cart” option. Where is it suppose to be. Excellent video’s. Can’t wait to get started. Tried to add to cart but it says not yet. When? Love this information. I actually got it from the listening on the Bridal University. I am not able to get the free template because it says that I’m on the newsletter list already. Can you please send to me at [email protected]. Thank you for sharing this wonderful information! The answer to my how to prayers, thank you! I can’t wait to read this article. This is a critical question that is almost always asked by brides interested in my services. I plan on using your strategy as soon as I receive it. I like what I’ve read in your blog already!! Here’s to booking more brides!! Wow finally an article that makes sense! I’ve been looking for something that would help me out with my wedding business and finally, there you are. I found it! 🙂 I appreciate this article. I’m going to follow those 3 steps to help out my shoppers and buyers to increase wedding sales for sure! How Can I Convince Brides of My Value Immediately? How Do I Deal With Price Shoppers?